We’re five weeks away from SXSW 2018, and the days are starting to feel shorter and shorter. Before you know it we’ll all be together in Austin for SXSW 2018. In the meantime we still have plenty of great programming additions to share with you. This week’s batch of music-focused Conference programming consists of our Mentor Sessions. These sessions offer an opportunity for registrants to schedule one-on-one meetings to ask questions, seek career guidance, and absorb knowledge from a variety of music industry professionals. 2018 Mentors include Tiana Lewis (Pandora), Tom Mullen (Atlantic Records), Samantha Steele (Triple 8 Management) and many more. Music mentor sessions will take place from Wednesday, March 14 – Saturday, March 17 in Room 8AB of the Austin Convention Center. 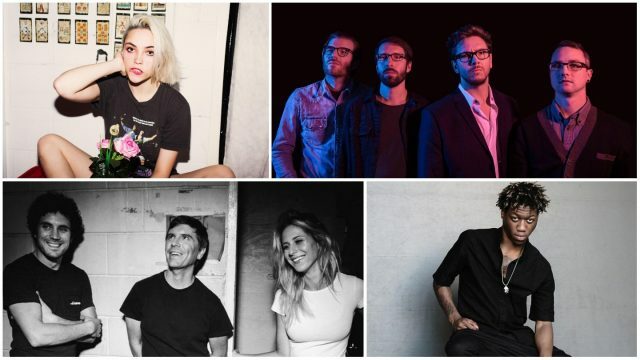 Highlights from the 100+ Showcasing Artists added this week include Sub-Pop indie-rockers Bully, XXL Freshman Class alumni OG Maco, Polyvinyl garage-rock band White Reaper, Dutch indie-folk act Rosemary & Garlic, The Strokes’ Albert Hammond Jr., funky soul singer Davie, and more. Yesterday the SXSW Film Festival released their Features Lineup, which includes the screening section 24 Beats Per Second. Dive into this diverse selection of films highlighting artists and music culture with an emphasis on documentary. If the FOMO is setting in, we’ve got the cure – register for your Music Badge now and book your hotel while there are still great options available. The Music Badge provides you with primary access to hundreds of showcases and sessions, secondary access to Interactive and Film Conference Tracks, and much more. We understand if you’re too busy to listen to every artist we’ve announced. To make finding the artists you’ll love as easy as possible we offer these tools of discovery: listen to the SXSWfm Specialty Show and Spotify Weekly Round-up playlist to discover artists from this announcement, and check out our YouTube playlist featuring artists from all SXSW 2018 announcements. Be sure to add your discoveries to your favorites on the SXSW Schedule to make planning your time in Austin a breeze.